ATLANTA—Stressing that most of the competitions over the past several seasons have been “boring” and “totally unwatchable,” Hall of Famer and Inside The NBA analyst Charles Barkley insisted Monday night that modern basketball fans wouldn’t stand a chance of winning during the far tougher halftime contests of the 1990s. “I’m sorry, but these halftimes nowadays don’t even compare—back then it was so much faster and more demanding, not this nonsense where you get a whole minute of unlimited tries to sink a half-court shot,” said Barkley, adding that “anybody who knows anything about halftime” is aware that the numerous rule changes over the past two decades have completely changed the promotional fan contests. “Back in the ’90s, guys couldn’t just get to the free-throw line and sink 10 shots in a row to win free floor-side seats for next season. If you wanted to win, you’d have to shoot the ball backwards over your head with a blindfold on, or you’d have to hit a layup, free throw, three-pointer, and half-court shot. C’mon now, can you imagine how many new cars one of the contestants from ’95 or ’96 would win now? 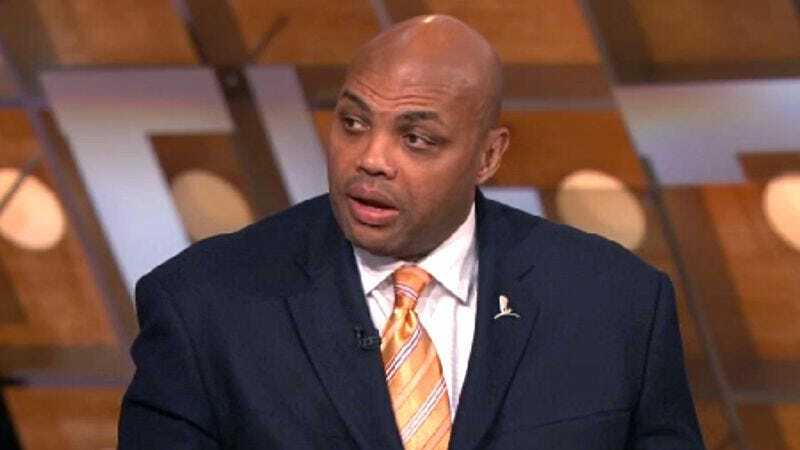 They’d absolutely kill these wimps.” Despite his criticisms, Barkley admittedly conceded that today’s NBA fans are by far much larger compared to 20 years ago.